Have you ever woken up in the middle of the night worried about the track you’ve chosen in life? Are you unsure about which fork in the road you ought to take? 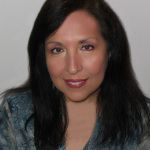 Just recently I coached a client who wanted to know if she was on the right path in her life. She’d been downsized from her corporate job 5 months ago and hadn’t been able to find work in her field since. She’d been sending out a steady stream of resumes and attending any networking events she came across; all with no luck. My client was getting depressed and fearful over not having a job and money coming in each week. In the meantime, she told me she’d had this “crazy idea” of starting her own business. “What’s so crazy about it?” I asked. “I’ve never done anything like this before – I don’t know if I’m doing it right, and I don’t know if it’s the right path for me either,” she replied. It was clear to me from her response that fear of failure was the crux of the matter. It was also clear that her fears were undermining her natural instincts, or intuition, about knowing whether she was on the right path or not. Plus, when we want something different than what we put our efforts into – it negates the energy we’re putting out. My client was effectively canceling out her own efforts to get a job, by really wanting to start her own business. Fear is the biggest dream killer there is. Fear is also the mother of – “woulda, coulda, and shoulda.” And, fear is also a built in safety valve that’s important and necessary at times for our survival. The problem isn’t so much that we have fear – it’s when we have fear and about what. When we fear beginning something new, like our own business, and letting go of the “known,” it’s because we are projecting our fears into the future. Inside we fear for our survival. We fear we won’t make the money we need to live. It feels safer to stick to what we know than to try something new and risk failing. The way out out of the maze of fear is to focus on one step at a time, and put one foot in front of the other just like you would if you were physically in a maze trying to find your way out. Pretend for a moment you’re in a garden maze of tall hedges. If you were in a maze like this you’d keep trying to get out until you finally did. You’d know that there was a way out and that it was only a matter of time, and trial and error of going down a few wrong paths until you found the exit, right? You wouldn’t be afraid you were going to die in the maze would you? No. Why? Because you’d know that there was a way out and that the maze was only a game. That’s exactly how we need to view all new ventures we undertake in our lives. We need to take fear out of the equation. Fear blocks up our intuitive guidance. 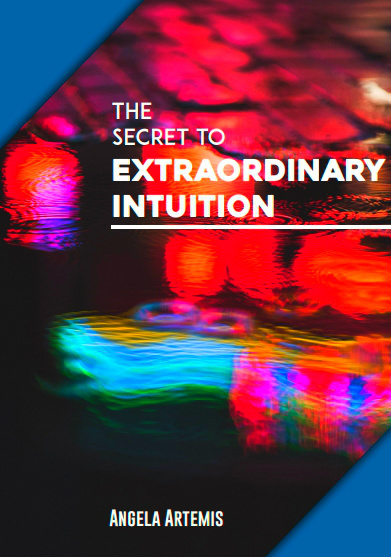 We can’t think straight – let alone hear this inner guidance. First, we need to realize we take everything in life way too seriously. There is always a solution. Always. To tap into your inner guidance read this post on generating ideas like a genius. Second, we need to stop allowing fear to get the best of us and hold us back. What’s the worst thing that can happen? We fail. So what? Usually through failure we find another, better way of approaching the problem, so that the apparent “failure” it turns out, is only another step in our eventual success. In this example with our maze – what we would do is turn around and try another path in the maze, and keep trying until we found the right one to get out. If we give up too soon – we’ll never get out of the maze! Once we tame the beast of fear of the unknown and calm down, the next step is convincing ourselves that we have the means within us to “know” whether we’re on the right path or not by tapping into our intuition, or inner guidance system. The next time you’re unsure about whether you’re on the right path try answering these 5 simple questions. Answer the questions quickly based on your feelings. 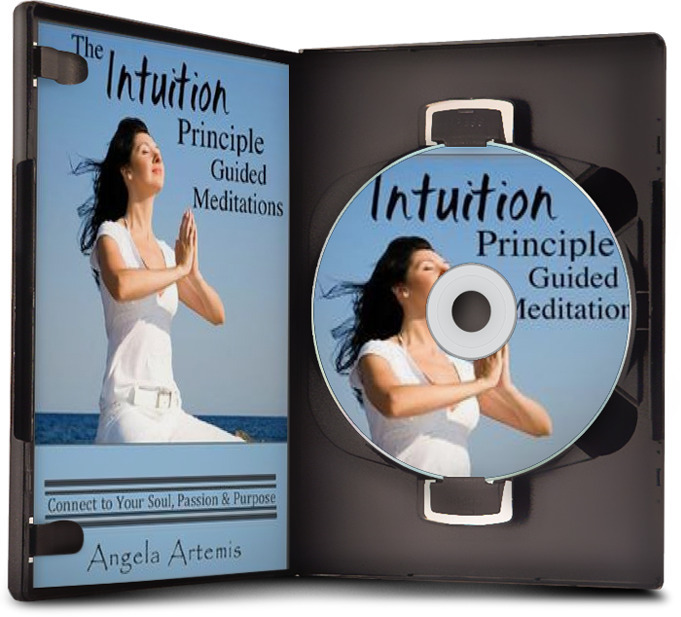 Keep your rational mind out of this exercise; this is the key to accessing intuition. After answering the questions you’ll have the clarity you need to decide if you’re on the right path or not. 1. Are you considering two different options/paths right now? 2. What are they? Quickly review each one. 3. Visualize yourself living Option 1. Spend a few minutes immersing yourself in this reality. What is your life like when Option 1 is your path? Has anything changed? How does it make you feel inside? 4. Visualize yourself living Option 2. Spend a few minutes immersing yourself in this reality. What is your life like when Option 2 is your path? Has anything changed? How does it make you feel inside? 5. Compare the reactions you had to the two options. Were you feeling: Happy? Excited? Motivated? Free? Powerful? Or, Fearful? Uncomfortable? Stuck? Uninspired? Sad? The answer to which path is the right one to follow lies in how you FEEL. If you’re feeling excited and enthused and energized, even while being a bit scared, then that is the path for you! The path that makes you feel dead inside is NOT the path to follow, despite the fact that it may be the more familiar less scary path. This doesn’t mean you throw caution to the wind and gamble, or act financially irresponsible though. You may have to take a job in your field for a while to enable you to work part time at your business in the evenings. You may have to downsize your life and finances. You may even have to do a series of different part time jobs while you’re creating your business. But, the bottom line is this: your true path is the one that makes you feel energized and excited about getting up in the morning! Find the thing that makes you FEEL like that and go for it, even if only part time, but make sure you take at least one step each day toward making it a reality. The secret ingredient in success is feeling motivated, enthused and excited about what you’re doing. Feed those feelings daily – and you’ll be on the right path! Are you on the right path now? If not, why not? What would need to happen in your life in order for you to take this new road? If you enjoyed this post please subscribe and share it on Facebook and Twitter. Thank you! Everything happens at the right time when you’re ready. This will teach you how to ask for and read the signs you get. Thanks for this article, it is exactly what I have been going through for over a year now – blocking myself from finding employment in an industry I no longer have an interest in and traveling though the maze to find my purpose. One thing I would caution against in this whole process having almost come out on the other end, do not underestimate that there may be several lessons that you need to learn while still in the maze! And going though these lessons is part of the path so do not get disheartened or resist the change as resistance creates more resistance. Rather go with the flow and try and create happiness and positivity in every level of your life, this will help carry you through the maze and out onto the path. Also I have noticed that many people are now going though these shifts to finding their true purpose, suddenly loosing their jobs, or reallocating and almost forcing the change in their lives. The energy at this time is one of forward motion and momentum, go with it and I’m sure things will be better and easier soon! I’m so glad you found this article helpful to you. That’s very gratifying to me to hear. I appreciate you leaving a comment about it too. Learning the lessons while we are going through the maze is very important to our spiritual growth and for developing the coping and problem solving abilities and strength to carry us through the rest of our lives! Great advice: Go with it and things will get better. This article made me realize I am on the right path, but fear and self doubt get in the way at different times and for different reasons. I appreciate reading that you are on the right path when you feel energized and excited about what you are doing. That makes sense to me and something that will help me judge in the future whether I am making the right decision or not. Thank you! I’m so glad you found this article helpful to you. I believe that there is nothing better than knowing we’re on the right path and living up to our full potential. How many people stay on the wrong path their whole lives out of fear of the unknown and die with their “song still in them? I’m happy you’re on the right path for you! I would like to say thank you to the Universe for it giving you the nudge to send out this article to my email this morning. 🙂 It was so timely for me! I find that when I think of things too far in the future, like how am I going to replace my full-time income, fear makes me freeze up, as I really am projecting my fears into the future. When I just do the next thing in front of me, there is much less fear and I find myself getting creative and enjoying what I am doing. I know I need to think somewhat of the bigger long term picture, but only enough to set my direction. After that it really is one step after the other. I’m so glad you found this article helpful! I know just what you’re going through too! I think it’s best to focus on one day at a time too. I get stressed out thinking the same type of thoughts! Don’t worry I “know” you’ll get there! Thanks so much for visiting and commenting. The “maze” example is a great one. Thing is we can panic in a maze as well. I think the real key as you mention is to get fear out of the equaion and event he most difficlut mazes will lead to an opening. Yes, the maze makes sense for what we go through in life doesn’t it? It’s true we need more faith that we will eventually get out of the maze! I agree that fear is one of the biggest obstacles people face when considering a life change. I have a co-worker who has told me that she wishes she could be doing something else. She is single, no kids, and basically has nothing stopping her from pursuing any dream she might have. However, he biggest obstacle besides fear is being too “comfortable” with her life, she has gotten complacent and has just accepted the way things are. Yes, fear holds so many of us back. I can relate to the co-worker you speak of. I stayed in “cushy jobs” for a long time because I didn’t want to give up the lifestyle, yet I was miserable! What a wonderful post Angela! Love the advice you gave. If we manage our fears, the rest would flow with ease. Thanks so much for the insight. I’m so glad you enjoyed the post and the advice. Yes, if we manage our fears, as you say, the rest will flow with ease! What a perfect way to sum up the post. Thank you! I’m so glad you enjoyed the post and found it useful for you right now as you navigate this crossroad in your life. I’m elated to hear that doing the visualizations gave you some clarity as well! Thanks so much for visiting and commenting. I love this post so much, many of the ideas really clicked with me. Right now, I am in a sort of crossroads in my life where I need to evaluate my next career move, and relationship move, and thinking about the various paths and how they make me feel really gave me some clarity. I have been thinking about this question a lot lately on things I am doing are they right about homeschooling kids, volunteer or do work for free and all but in my heart it feels right. In related note, I am so bummed about Jean’s decision to stop blogging but I am trying to be understanding as I know she has made choice that is right for her. I’m glad you know that you’ve made the right decision for you and your family. That’s what’s most important! The heart always knows what’s best for us. Me too. I miss Jean a lot, but like you, I’m glad she’s doing what she really wants to do. Fear is a paralyzing emotion to say the least. I too have come to a crossroads in my career and am so fearful of making the wrong choice I’ve done nothing. Your questions helped put things into perspective for me and hopefully today I will do something – one way or the other. Nothing ventured – nothing gained. I hope I’ve been able to help you. Please come back and let me know how things are going for you. My very best to you in this decision. Great advise, Angela. As you know my situation is a little similar. I am pursuing one path to make money and another to follow my dream. I need to get the two in sync. I thought that for me it was lack of time not fear. But you may be right; maybe it’s fear holding me back. Thanks. It could be a little of both! Thanks for good pointers, yet again! I think that’s really powerful, the idea of going down each path in our minds (bodies, hearts, etc.) And sometimes it can be surprising what we find there — not always what we would expect! Yes, I couldn’t agree more. Thanks so much for visiting and commenting. I never thought of it giving us a tummy ache, but I’m sure the stress of wanting something different than what we’re working toward could manifest as physical symptoms. Great observation! I’m glad you’re going to try the exercise. Please let me know how it turns out if you do. Thanks for the excellent reminder about fear. I really think it does de-rail us constantly if we aren’t even conscious that we are scared. I couldn’t agree more; fear does derail us and once derailed it can take years to get back on track again. Good luck with your search for part time work Kara. I’m sure you’ll attract the job you’ve been looking for very soon! Angela, I love this post. Your guidance is wise and self assured. Based on personal experience no doubt. I love the part about not taking life so seriously, and imagining the worst. It’s usually not that bad. I’m aware that there are fearful thoughts that can pop up in myself and negate what I’m doing, and I’m trying not to let them block my progress in life. It’s an on-going practice of moving with a lightness in life and practicing gratitude. I’m so glad you love the post! Yes, I’ve fought my way out of a few mazes in life, and lived to tell the tale, for sure. Keeping fears in check and nipping them in the bud early before they hinder our progress is key. I think “moving with a lightness in life and practicing gratitude” sounds like a beautiful way to live. Wonderful article, Angela. The intellect will come up with all kinds of “great ideas” that serve only to keep us stuck in the maze. When it comes to creating your life as you want it to be – your brain has little to do with the final outcome (neither the left analytical brain or the right creative side)… it is mostly your ‘heart-mind’ that does the creating. I agree Rob. They say the heart is the seat of soul, and I believe it’s true. When our head is in conflict with our hearts we don’t get very far. I’m so glad you enjoyed the article Rob. Thanks for your constant support. I truly appreciate it. I love the Feel Factor – going with that inner sense of what’s right. My take is that people get confused by what they want/yearn/know they should be doing or following and what they feel they should/must logically be working at. Seperating the two is sorting the wheat from the chaff and then the gold appears. So I agree we are too serious, too thought driven and less sense powered and inner knowing inspired. Oh how the world could change if we were the latter Angela? I think you’re so right about that. We do get confused between what we think we “should” do and what we “yearn” to do. We make mountains out of molehills over everything. It would be a different world if we relaxed more and allowed our senses and inner knowing to guide us. Thanks so much for visiting and commenting John. Isn’t it funny Angela that in this age of social media, creativity, and instant availability of information, people still think carpet bombing the world with resumes is the way to go? I think that is far crazier than following a hunch with some inspired action to do what you want. I hadn’t thought of that, but you’re right. I’d much rather call everyone I ever knew or worked with in my field and see if I could get a lead on a job that way. Great observation Joshua. Thanks so much for adding to the conversation here. Hi Angela – this was touching to me. I’ve often asked myself if I am on the right path. The way I judged this in the past was based on my content’ness of life. If I felt content – I was NOT on the right path. For me, being content creates unfilled voids. I love to learn new things; being a student. When I’m content, I don’t carry the same drive to learn – which limits my growth. Humbly, I’m delighted to share that I’m on the right path. Life feels good, I’m not content with where I am…I want to grow more and more. Within the feeling of content – I do still struggle at times when I’m at the fork in the road; thinking…”which way should I go”. I give it thought, then make a decision. Regardless of the immediate outcome that I experience, I try to make the best out of the decision I made. Notice that I said TRY (I say that with a smile)! I really enjoyed this and learned a lot. Thanks for the knowledge Angela! Thank you for sharing your perspective. I never thought of seeing discontent vs. contentedness as a sign to knowing whether you’re on the right path or not. I’m so glad to hear that you’re on the right track! You sound very decisive – that’s a good trait. Trying to make the best of your decision after you make it is the best attitude! I’m so glad you found the post helpful. WOW Angela this post and your clients story resonates with a large percentage of the population right now! Fear is still something that fascinates me in that it changes it’s form constantly and no matter how many times I work through it, it appears again and nearly stops me… again. I really appreciate your five questions. – I just did the exercise since I’m in a very similar position of trying to find my next great job and thinking about trying independent self-employment. When I read this, “My client was effectively canceling out her own efforts to get a job, by really wanting to start her own business.” I got chills – we really can’t fool ourselves or the universe – and in our trying to go down the old familiar path that isn’t working anymore, we only delay our real successes as we water down the effects of our actions. It’s amazing how the mind works – our thoughts preventing our success because we dance to long with fear and hesitation. This post is a gift. Thank you! Great observation! You’ve definitely got it. We cannot fool the our higher selves or the Universe. Our intentions speak louder than words. I’m so glad you found this post helpful! Thanks so much for your visiting and commenting. I like the active visualization technique you recommend Angela. Typically, when we can see ourselves doing something, it becomes more real. And in that reality, we will be better able to sense if it’s right for us, or not. I’m so glad you liked the active visualization. Yes, visualization does help us compare the two situations to see which one is right for us. I think fear is about 99% self inflicted. We as humans usually imagine the worst. I like visualizing yourself in both situations. Yes, that sound about right! We do imagine the worst, don’t we? I’m glad you liked the visualization. Isn’t fear an interesting emotion? Good for some things, bad for others. You’re going to have fear creeping in with new ventures all the time. You just need to acknowledge and then send it gently away. By the way, my mother always said, “Shoulda, woulda, coulda” too! Hi Betsy, Yes fear is really interesting. You’re right and I agree. We need to face our fears rationally and then do what we fear anyway. I loved the quote. Thank you! You’re mother said that? Cool! Yes, I agree 100%, it’s about feeling good! When we feel good we create and attract more good. Our good vibes hone in on the good all around us and the good expands! Angela: Great post and it is such a common question we can run into as to whether or not we are on the right path. I thought your list of questions was so helpful and as I made my way through them, I was reassured about my decision. I think that is really what is all about. We may have doubts from time to time when we are working toward something, but as long as we know deep down we are on the right path, it helps to feed our motivation and inspires us to continue until we succeed. Thanks for the insight and the question. Very helpful. I’m so glad you enjoyed the post. I think we all suffer from fears about where we’re headed at times. I’m happy to hear that the questions were helpful too, and that they reassured you about your decision. Yes, that’s it! As long as we know we’re on the right path and stay motivated – we’ll succeed. You just summed up the article so well. Thank you, and thanks so much for visiting and commenting Sibyl. My client was effectively canceling out her own efforts to get a job, by really wanting to start her own business. I also like how you suggest we visualize ourselves in two different positions. Yes, what she was doing was negating all the efforts she’d been putting into getting a job. It was just like me in the beginning when I wasn’t sure I really wanted to sell my house – I didn’t get any offers until I became clear on my desire to sell. I’m so glad you’ve never had regrets about your life Tess. That’s a wonderful testament to life lived fully and with heart! 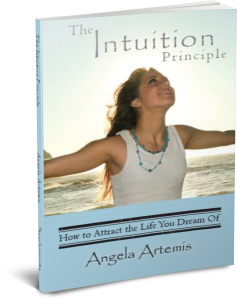 I’m sure you’ve been following your intuition too! My packing is going slowly, but I’ll get there – I have to! Thanks for your support and for asking. I love posts about fear – we really are our own worst enemies – aren’t we? and stepping outside the box, watch out. Excellent post, Angela. Hit the nail on the head. I agree – we really are out own worst enemies. Long story short, your on the right path when you see your self growing and improving and your happy. You said it! That’s exactly right. Thanks for putting it so succinctly. It’s a pleasure having you stop by and leave a comment Jonathan. Your article resonates so strongly for me today. For me, it applies not only two distinct options but to the way I am following my path. I loved your five questions because it reminded me that if “stress” pops up on my path instead of all the wonderful qualities you list, it’s time to take a fresh look. Thanks so much for the terrific article. I’m so glad the article resonates with you. If it helps you in any way – I’m elated! I’m glad you found the 5 questions helpful too. It’s my pleasure Sandra. Thanks so much for visiting and commenting.